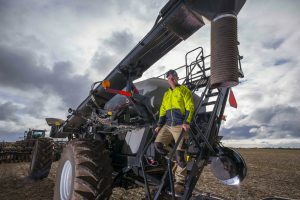 The Correll property in Arthurton, South Australia, is a 3,300 hectare intensive cropping operation, including wheat, lentils, canola and barley. Sam Correll works the property with his father, uncle and cousin and says this is their first year with Flexi-Coil. “Sowing our lentils deeper than usual to chase the sub soil moisture and keep the germinating seed out of the chemical band was a big plus for the Flexi-Coil. It had no issues with digging in and the hydraulic tynes meant that if there was to be a rock at that extra depth, it would generally breakout over the top of it,” Sam says. Sam admits that they went with Flexi-Coil in the first place because the bar resembled their old one, but he realised the exactness of the 5500 70ft air drill’s sowing depth. This precision is thanks to Flexi-Coil’s patented two-piece wing, which reduces stress on the framework and creates exact and repeatable sowing depth for ideal crop germination. Sam was also impressed by the efficiency of the 5560 air cart. The 5560 air cart has a capacity of 19,558 litres, allowing Sam to seed for longer without refills, along with three separate tanks. It also features Flexi-Coil’s FlexRate Modular Metering System with its independent 24-volt electric drive motor with controls for single or double-shot application. Multi section variable rate metering meant Sam could set and vary the rates of the wheat, barley and canola seeding from the cab. The compact design of the air-drill also proved to be a drawcard for the family. The 70ft 5500 air drill folds up to a compact 17ft 8in (5.4m) wide and 13ft (4.1m) high when in travel mode. As a first-time buyer of Flexi-Coil products, Sam was surprised by the simplicity and ease-of-use of the equipment. “The other drivers of the seeder picked up the workings of it fairly quickly as well. It’s really simple and the calibration is really easy,” he says.  Despite the dry season that occurred straight after the Correll’s had seeded their wheat, barley and canola, plus the mice issue that plagued the state, Sam says they’re feeling optimistic. “It will easily be an average, if not better, season,” he says.